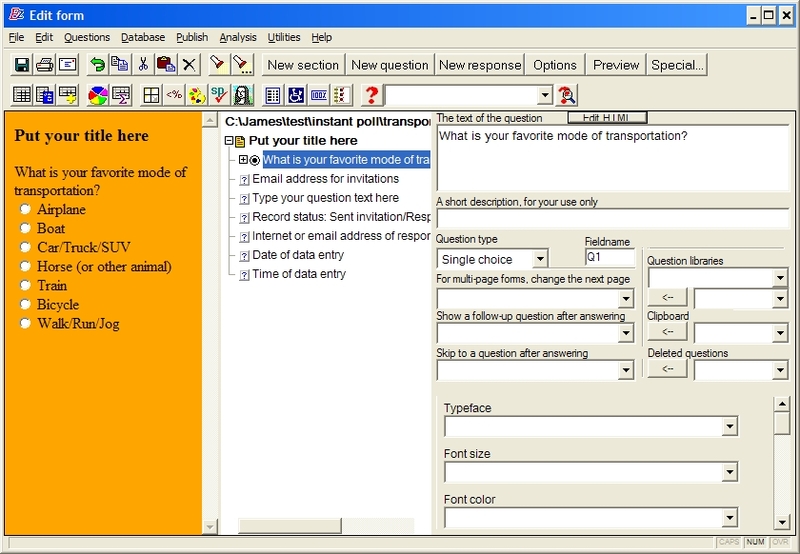 An Instant Poll can be created by publishing a single page survey with a few questions. Take the HTML from the single page survey and put it onto your website. The survey will collect the results as usual.